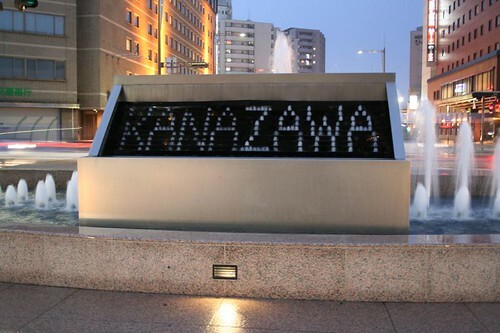 The forecourt of Kanazawa Station, Ishikawa Prefecture, Japan has a unique device to display the time. I have used the word 'device' as I am at a loss whether to call it a 'Fountain' or call it a 'Clock'? In reality it is both. 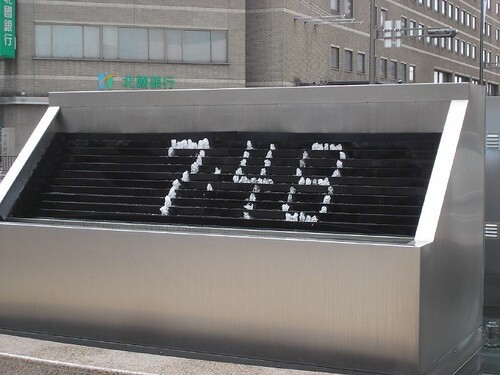 An amazing computer controlled fountain which displays time in digital format. 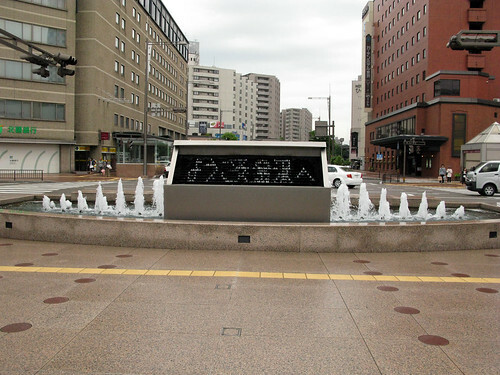 The water fountain consists of several arrays of closely placed small water jets just like LEDs on a bill board. A computer controls the opening/closing of these values which operate in a programmed manner to display the time by the small jets of water, which flows back into a tank below it. The computer programme frequently changes the display to show the name of the station, welcome message and other text massages in English as well as Japanese. A truly amazing and unique piece of public art created by modern technology. View location Google Earth Google Maps.